ECOFILL’s centrifugal separator and purifier skids are designed especially for liquid-based applications. Using centrifugal force or vacuum they separate substances and solids from liquids. They are equally as effective at separating liquid mixtures as in removing solids from liquids. ECOFILL builds, sells and rents out mainly Alfa Laval and Pall skids. The fields of application of our centrifuges range from separating processes in the chemical industry to the processing of mineral oil and mineral oil products. 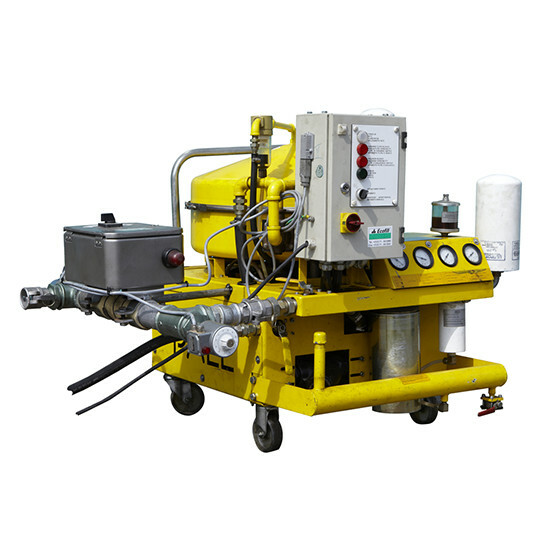 High quality oil cleaning equipment for hydraulic and lubrication oil effectively removing particles and water and thereby reducing total oil consumption. Advanced solutions for cost efficient high speed separation.